Brilliant Venus sparkles during twilight this evening in the west-southwest with the crescent moon nearby as seen from the Chicago area. (Click the image to see it larger.) 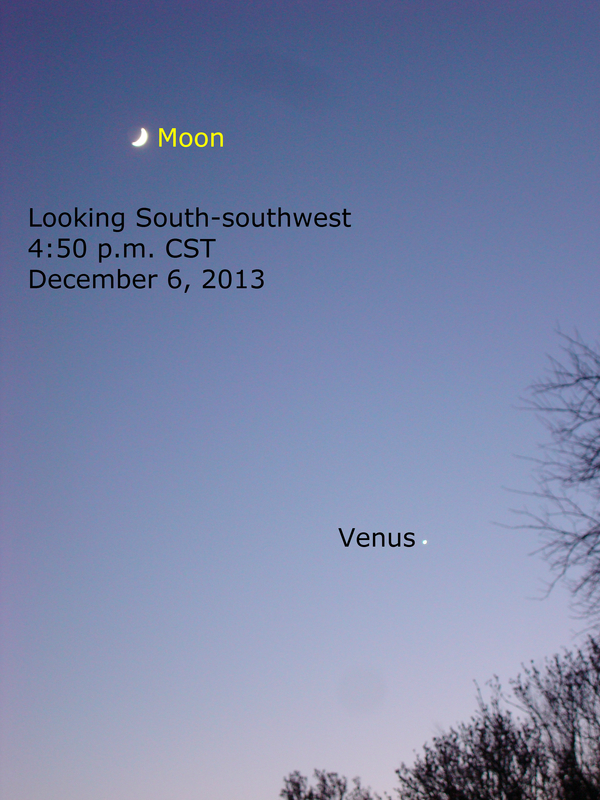 Today Venus reaches its greatest brightness during this evening appearance.